[GERMANY.THUERINGEN 30318] Next to his birth house in Eisenach stands a monument to J.S. Bach, dating from 1884. 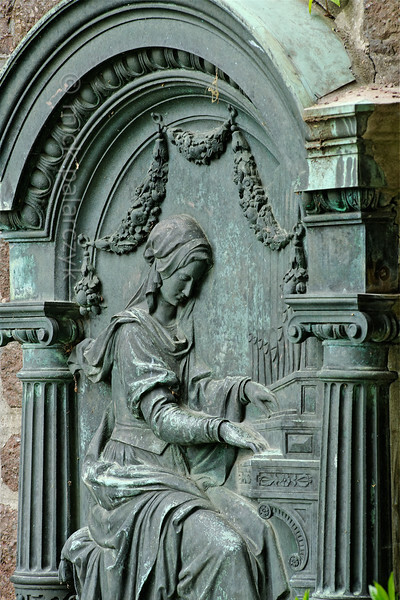 This relief shows Saint Cecilia, patroness of musicians. Photo Mick Palarczyk.